Dr. Anthony Rao was born in Canada but grew up in Tempe. He graduated from Corona del Sol High School and then attended the University of Arizona in Tucson. After graduating dental school from Temple University in Philadelphia, he moved on to an Advanced degree in General Dentistry from Virginia Commonwealth University before moving back to Phoenix. 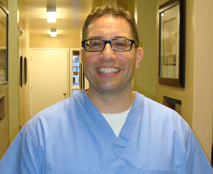 He is a member of the Arizona Dental Association (AzDA) and the Academy of General Dentistry (AGD). Dr. Rao enjoys all aspects of dentistry and due to his many hours of continuing education is able to provide all forms of treatment including smile makeovers, root canals, dentures, extractions, orthodontics including clear correct and all restorative work. When he’s not practicing dentistry, he enjoys kayaking, swimming, and spending time with his family. Raquel is our practice manager. She has been with us now for 5 years. 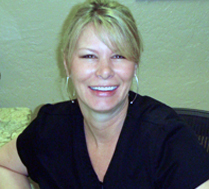 Raquel started out as a patient and was so happy with our work and staff she decided to join our team. Raquel is dedicated to making sure you are taken care of during your entire visit to our office. Her goal is to help patients understand their treatment options and obtain the best oral heath possible. She loves living in Arizona and enjoys spending time with her daughters and husband.